Plants, animals and human beings are made of cells. All cells in the body have special tasks and their complex interactions guarantee the functioning of the entire organism. Each cell consists of a fascinating orchestra of molecules, i.e. chemical building blocks. Their interaction ensure the functioning of a living system. The family lecture of the biophysicist Johann Danzl will provide insights into the molecular world and the methods used for studying cells. 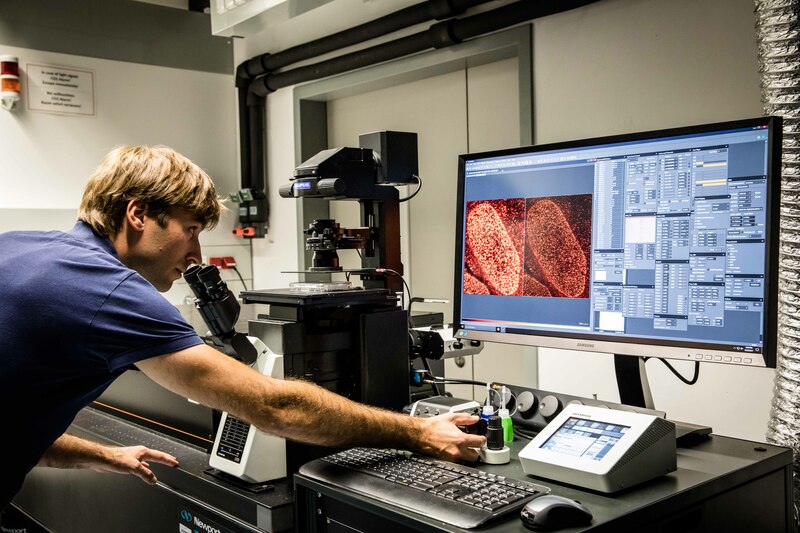 He will introduce new approaches in light microscopy that enable investigating smallest details of living cells or examining how cells combine into tissues and organisms. The 40-minute family lecture in German will be starting at 2:00pm in the Raiffeisen Lecture Hall.